Graphics Complete with all three types of most used connectors! Packed with a D-Sub + DVI-D + HDMI combo. Plus the HDMI port supports 4K resolution. 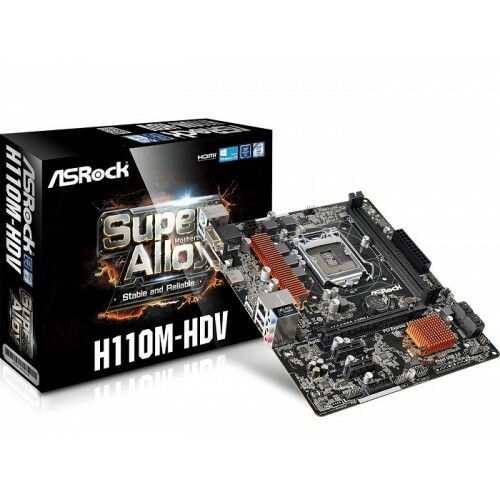 ASRock H110M-HDV micro ATX Super Alloy 6th & 7th Gen Pentium, Celeron (Socket 1151) i3, i5 & i7 processors supported dual channel DDR4 maximum 32GB memory motherboard has the capability of 1 PCIe 3.0 x16, 2 PCIe 2.0 x1 interface. Focusing on the graphics, it will support integrated Intel HD Graphics and up to 1024MB shared graphics memory with D-Sub, DVI-D, HDMI output options. 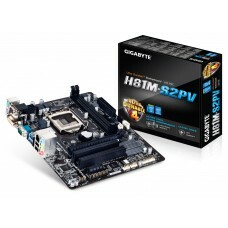 This exclusive motherboard has the facility of 4 USB 3.1 Gen1 (2 Front, 2 Rear) ports, 4 SATA3, gigabit ethernet and 7.1 CH HD Audio connectivity. 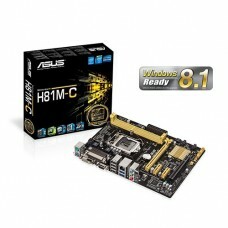 This component with the 3 years of warranty facility will be good enough to purchase for your PC. Star Tech offers the best price with EMI facility in all the major cities such as Chattagram, Dhaka, Rangpur, Rajshahi & Sylhet. 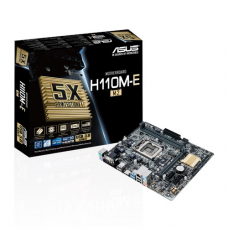 Order your favorite Asrock mainboard from our online shop and have the delivery all over Bangladesh.